The Lexmark range has grown significantly over the years and there is hardly a bad word to be said about their current selection of printers. However, when an item such as the Lexmark 7200 Colour Jet appears on the market, you might well want to know a little more about the product before making the decision as far as handing over your cash is concerned. So, in order to help you better get to grips with everything that the Lexmark 7200 ColourJet has to offer, here is a brief review of said printer. The Lexmark Colour Jet 7200 is a rather stylish piece and one which offers a pleasing mixture of angled edges and stylish finish. 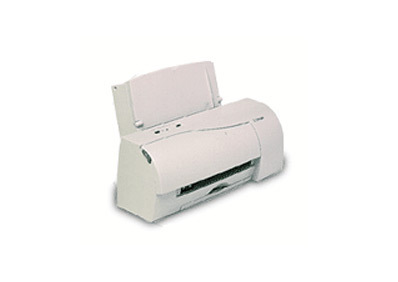 The 7200 Colour Jet printer itself arrives in a very pleasing scheme, adding a touch of class to a household item which tends to arrive in grey. As you might expect from the Lexmark range, the Lexmark 7200 colour inkjet printer ticks a fair few boxes on the pro list. The Lexmark 7200 printer is fast, produces very impressive results and even boasts a look which few printers can match, particularly at this price. Finding fault with the Lexmark Colour Jet 7200 is not easy, but if we really had to find an issue with this printer, its that it might be slightly expensive to run when compared to budget models. But, then again, the Lexmark 7200 colour printer is not a budget model but instead, a printer which offers a range of perks. As such, any outlay is justified as this is a top quality machine.